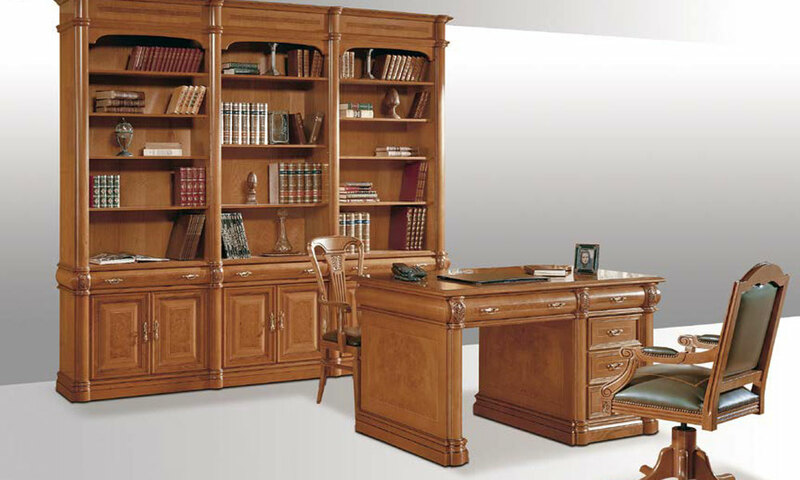 The 94 program is made of American oak. 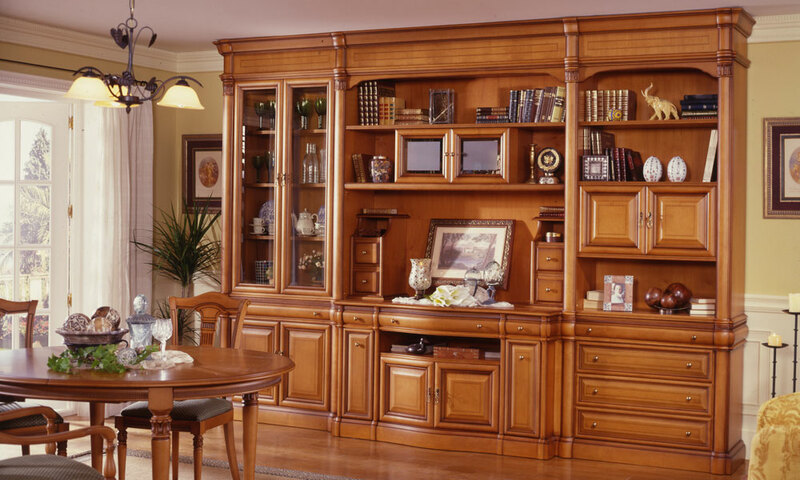 It incorporates pilasters, frames and moldings in solid oak. 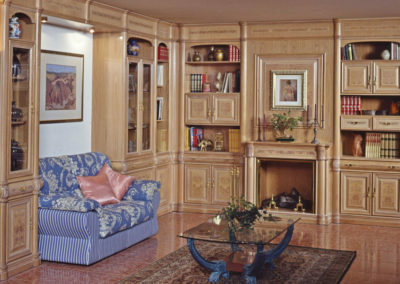 The fronts are veneered in natural oak roots and marquetry in olive grove, with artisan statures. 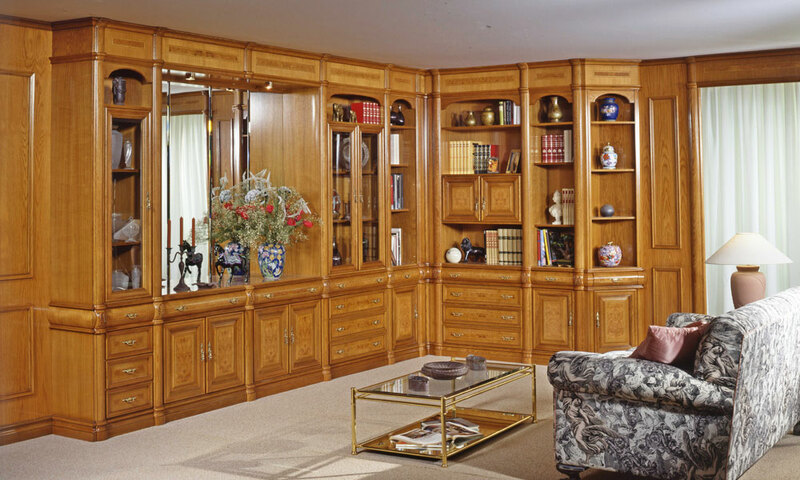 The 97 program is made of mahogany. 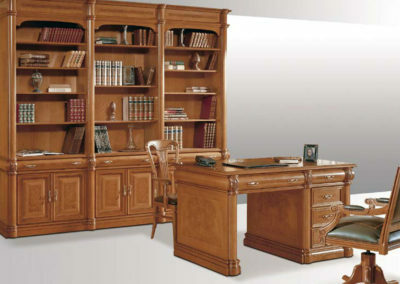 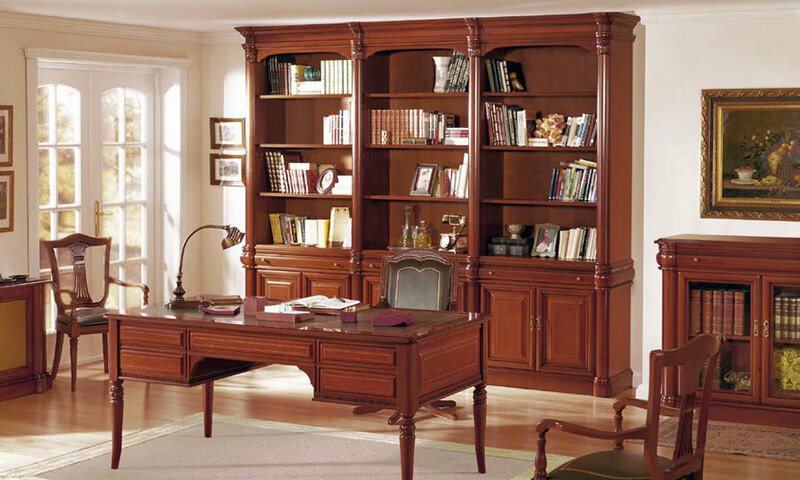 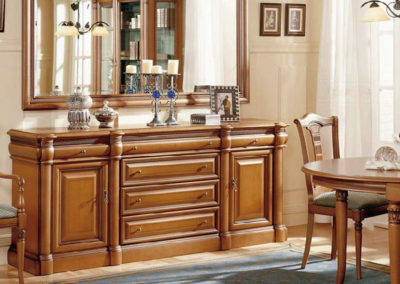 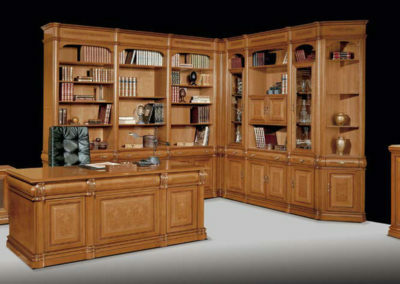 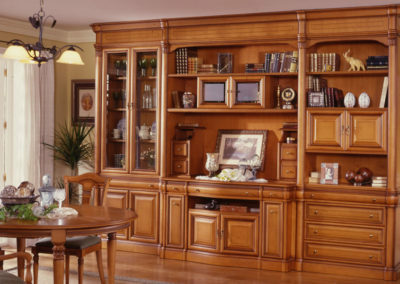 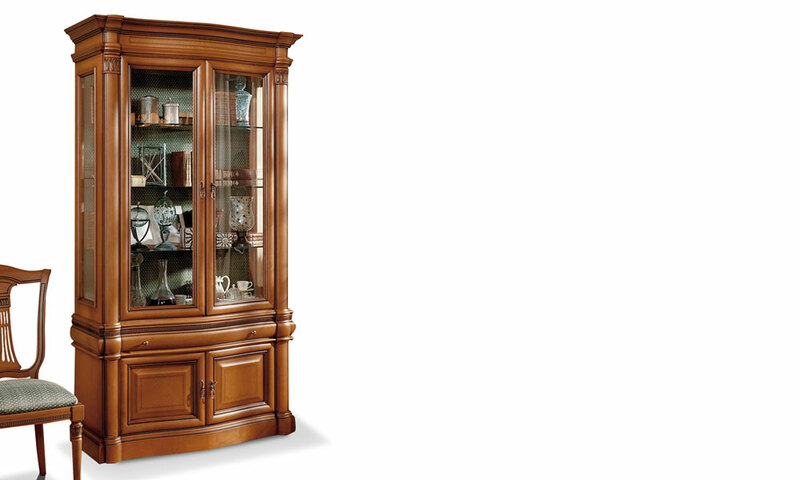 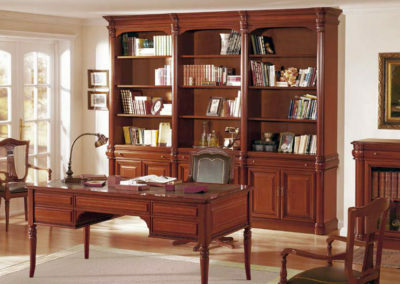 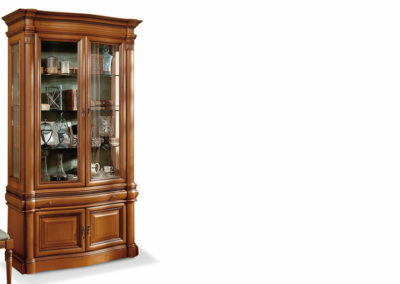 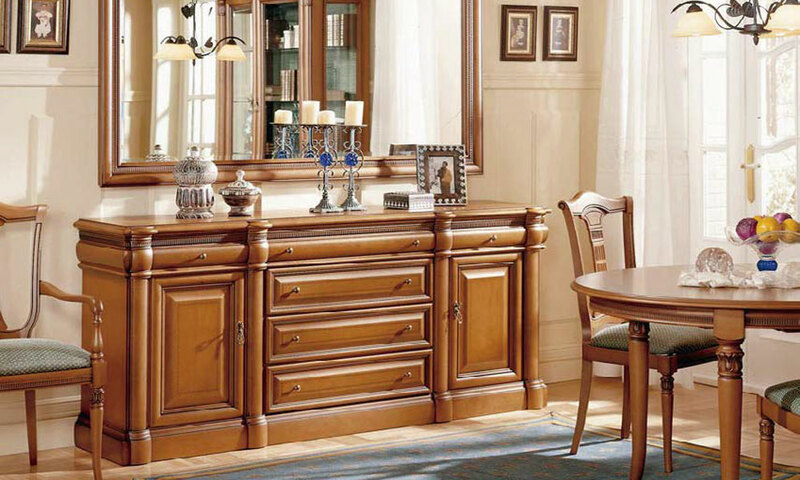 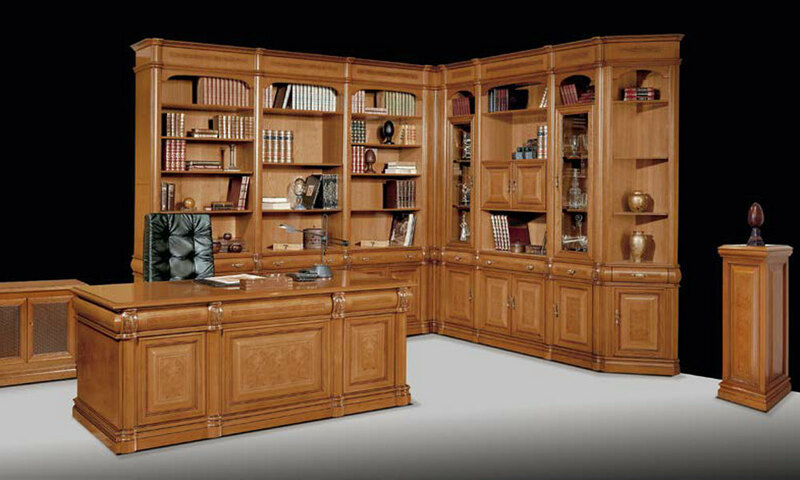 It incorporates pilasters, moldings, door frames and drawers in solid mahogany wood. 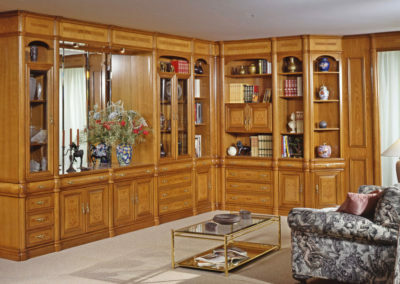 The panels are postformed in mahogany veneer with marquetry. 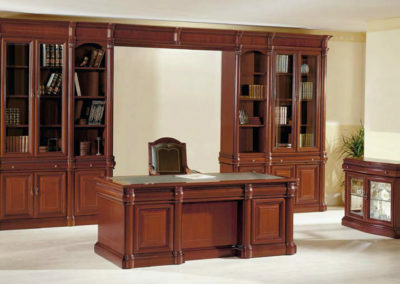 Desk: long 1.95 m. x width 0.90 m.
Column: long 0.35 m. x width 0.35 m.
Wardrobe: long 3.51 m. and 2.77 m.
Desktop: long 1.55 m. x width 0.90 m.
Wardrobe: long 2.78 m. x width 0.42 m.
Dresser: long 2.10 m. x width 0.42 m.
Desktop: long 1.70 m. x width 0.90 m.
Wardrobe: long 2.88 m. x width 0.42 m.
Desktop: long 2.00 m. x width 0.90 m.
Wardrobe: long 4.77 m. x width 0.42 m.
To order furniture from the 94-97 Collection, we invite you to contact us by phone or through the form.